Following on from the last post about the Chrysler Windsor in Darlington, here’s another postcard of another American automobile, this time in London. It’s a black and white photograph of Piccadilly Circus of the same era – late fifties, early sixties perhaps, partially colourised so we have various elements painted in – the RouteMaster London buses, the post office van, some of the women’s dresses and the advertising hoardings but not the very un-English American car. It’s so similar to last week’s Chrysler but there’s a slight rising hip line beneath the rear passenger window which indicate (to me, anyway) that this is a General Motors car. 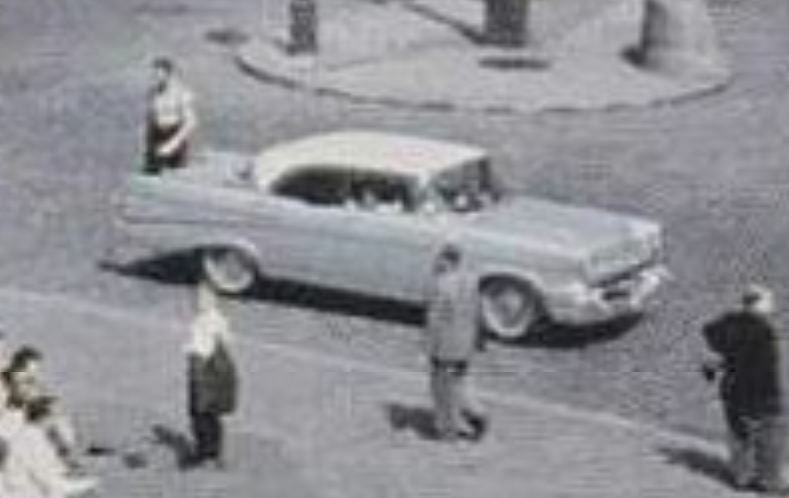 Probably a 1957 Chevrolet Bel Air? The photo is vert blurry so it’s slightly difficult to be positive.